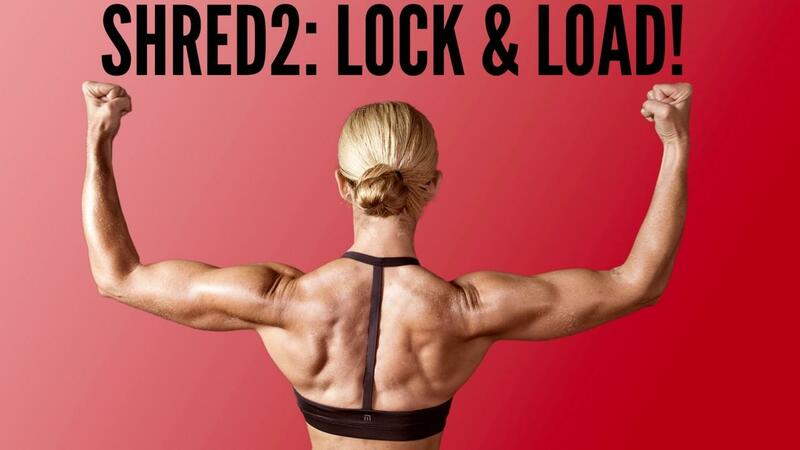 Shred That Body!™2 is the ULTIMATE of all my challenges! You do NOT have to complete Shred That Body before you do this program. * Before/After Assessments & Measurements & Weight Chart** & Charts to track progress in videos. * Private Facebook Group that allows you to comment & support your team (while they also support you!) This group is only live during the session. **This is NOT a nutritional program. But you have the option to chart measurements/weekly weight. This program is designed for people who are already fit & healthy, but want to shed that last layer of fat off their body & be challenged! All videos/program platform are accessed online. You can use a computer/phone or tablet if you have WIFI/Internet access. There are PULL UPS in this challenge. You will need access to a pull up bar. You can use it at the gym OR buy one for the house (I can recommend one that inserts in your door). These are optional if you don't have access. Workouts are 6X/week with 1 day off. Some of the workouts are over 1 hour. You will need a cardio workout 3-4x/week. This can include cardio classes at the gym or DVDs. You also have the option to run or bike on cardio days! Cardio workouts are NOT provided. There will be a Facebook private group page for the group. It is optional to participate here, but all communication takes place on that page. This is NOT a prenatal program. This program is not recommended if you are nursing. If you completed Shred2 years ago, please email me for discount code. Even if you can't start with the group on the start date, you get access to the entire program for a full year! It is only offered 2x/year, so you can still register NOW to get access on the start date. This session will be LIMITED in size and will sell out fast! Shred2 will only be offered 2x/year! Includes access to platform/videos for 1 year.